Installation: A roof that is insulated from the outside, is also called a ‘sarking roof’. This implies that the insulation material is installed on top of the bare roof construction itself. 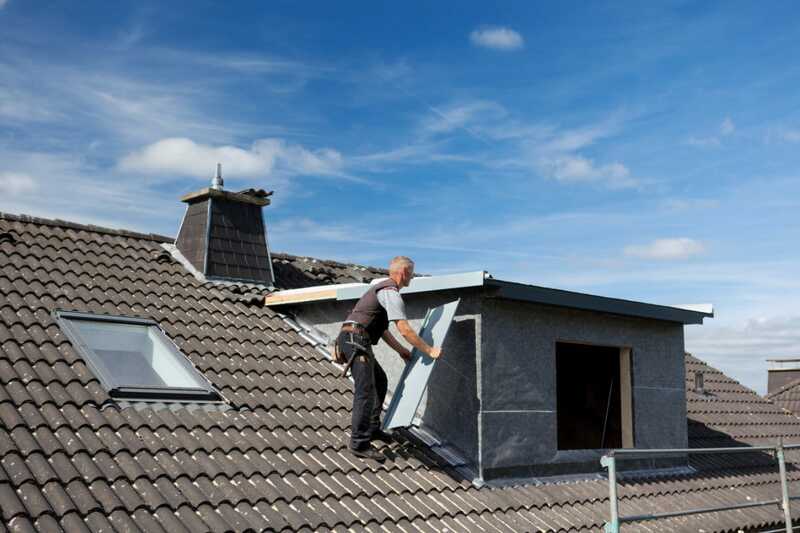 On top of the insulation material, one installs a foil in order to protect the roof against wind and water. Advantages: When using insulation, there is always a risk of thermal bridges. These are places in a building where the insulation material is disrupted, as a result of which heat can escape. However, by insulating the roof from the outside, you will not be bothered by thermal bridges. The roof is then positioned in a continuous insulation shell. Why choose this: When you insulate your roof on the inside, the roofing and roof construction will completely remain intact. This insulation method is not as drastic as roof insulation from the outside. Costs will therefore be lower. A sloping insulated wall is usually finished with plasterboards. However, some insulation materials are already provided with a finishing layer. In that case, the work can be carried out fast and you will save some money. Installation: Do your sloping walls have a structure with rafters or trusses? It is possible then to apply the insulation directly between these beams. If this is not the case, a craftsman will first build a wooden or metal framework on the wall. Advantages: By insulating the roof from the inside, you can avoid damp problems. A vapour barrier is attached to the insulation material in order to prevent condensation and molding. Keep in mind, however, that you will lose some space in the room by insulating the roof on the inside. Why choose this: If you do not use the loft as a living space but rather as a storage room, it is quite useless to insulate the roof. You would be well advised then to just insulate the floor of the attic instead. In this way, the surface of the house that needs to be heated will be smaller. This allows you to heat your house more efficiently. If you would decide to furnish the loft in the future, you can still insulate the roof as well. Installation: If you do not have a massive floor (yet), one can position the insulation material between the floor beams. In case there is a massive floor, the insulation is installed on top of the existing floor. if you want the floor to be walkable, you should definitely use rigid insulation boards. Advantages: You won’t lose any space inside (as compared to roof insulation on the inside). Moreover, this job is not as major as is the case with roof insulation from the outside. Why choose this: By insulating a flat roof from the outside, the bearing structure will be insulated as well. This way, temperature differences will be smaller and the risk of cracking will be minimised. A warm roof functions as a heat buffer for your house. The construction saves heat during the day, which is gradually dropped off when it gets cooler. This flat roof insulation method is applied most frequently. Installation: A vapour barrier is applied on top of the roof construction in order to prevent damp from condensing in the insulation material. Subsequently, the insulation boards are put into place, followed by the roof covering. Advantages: It is possible to finish a warm roof with gravel or tiles, depending on the function of the roof. 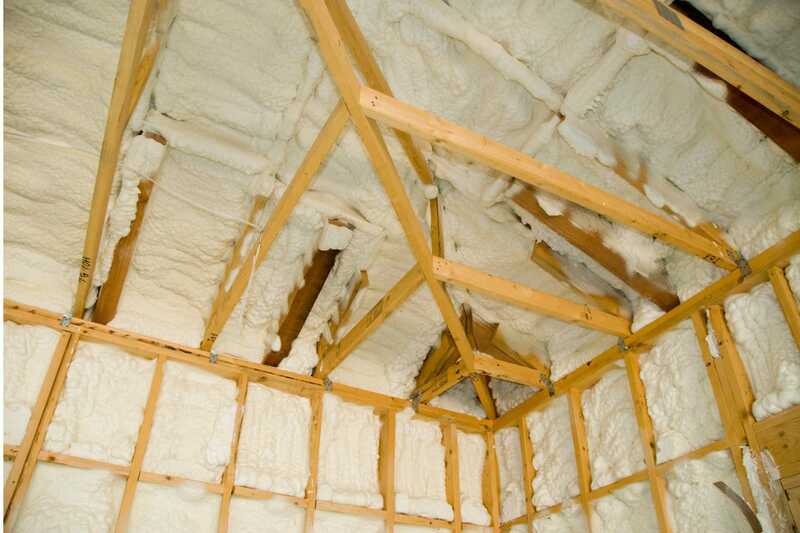 In case of a warm roof, your roof is part of the insulation shell. This way, you will get the most out of your insulation. Why choose this: A cold roof insulation method is usually applied when it is not possible to install the insulation on the outside (warm roof). This can be the case for existing flat roofs that are – due to technical reasons – limited in height. Installation: The insulation is positioned between the beams of the roof construction. On top of the insulation layer, you can find the roof boarding with the roofing on top. Advantages/disadvantages: When it is possible to install the insulation on the outside, it is not recommended to insulate the inside of your flat roof. Temperature differences will be bigger then, as a result of which cracks may appear in the flat roof. It is important to install a good vapour barrier in order to prevent condensation problems. Condensation may lead to damp problems and a decreased insulation value. Why choose this: This insulation method is usually chosen if a flat roof serves as a roof terrace or if the roof is often being walked upon. When the existing roofing has to be retained, an inverted roof is the best option as well. Installation: The insulation material is installed on top of the roof covering. Next, one finishes the insulation layer with gravel, wood or tiles. The roof construction completely remains the same. Advantages: This is a fast and qualitative insulation method. As the roof construction remains unaffected, costs are quite low. Moreover, you do not need an extra vapour barrier since the roof covering fulfills this function. Insulation wool and insulation boards are used most frequently. Insulation wool in the shape of blankets (batts or rolls) is most frequently applied to insulate pitched roofs. This material is easy to compress and cut to size. 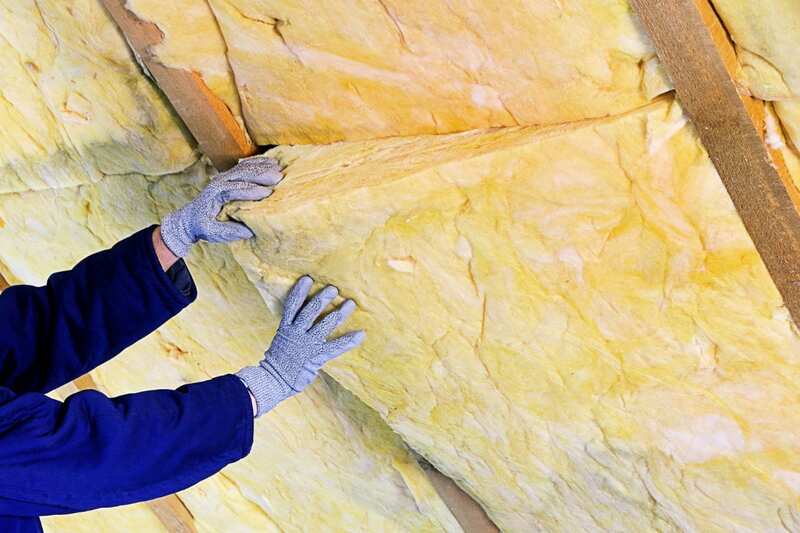 Glass wool (fibreglass insulation), rock wool and sheep’s wool are the most popular types of insulation wool. Insulation boards are hard and light. Alike insulation wool, they can easily be cut to size. This type of insulation can be used for almost every application: pitched and flat roofs, floors,… If you want to insulate your (attic) floor and still be able to walk on it, insulation boards are perfect. PIR, PUR and XPS boards are used most often. With loose insulation (like PUR insulation foam spray), all the gaps can be filled and thermal bridges are avoided. Read more on the different types of insulation materials and receive a customised price for your insulation jobs.